ESR-REIT's Board of Directors come from a wide range of backgrounds and offer a broad knowledge base. Together, they determine ESR-REIT's strategy and direct its performance. 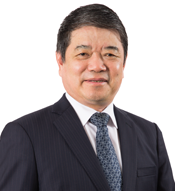 Mr. Ooi has over 30 years of real estate experience in property investment, development, project management and fund investment, and management businesses in both Asia and Australia. Mr. Ooi was previously the CEO of Lend Lease Asia, based in Singapore from 2010 to 2011. From 2006 to 2010, he was the CEO of Investment Management and Retail Asia for Lend Lease based in Singapore. 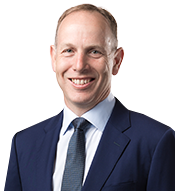 Prior to his roles in Asia, he was regional Chief Financial Officer ("CFO") of Lend Lease Communities Asia Pacific (2003 to 2005), Global CFO of Lend Lease Investment Management (2002 to 2003) and CFO of Lend Lease Development (2000 to 2002), all based in Sydney. 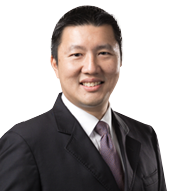 Mr. Ooi holds a Bachelor of Commerce from the University of New South Wales and is a member of the Certified Practising Accountants of Australia. 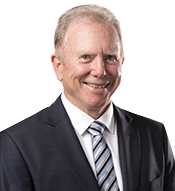 Mr. Berry has over 31 years of business experience covering, construction, property, financial management, infrastructure, and project finance in both Asia and Australia. From 2005 to 2012 Mr. Berry was with AMP Capital Services Limited where he held a number of senior management positions including Fund Manager for a diversified infrastructure fund, and was seconded as the CFO for the then ASX listed DUET. Prior to this, Mr Berry was with Lend Lease Corporate for 22 years, and held a number of senior roles in subsidiary or joint venture companies including CFO for Civil and Civic Ltd, Lyonnaise Asia Water Services Pte Ltd and Oakwood Asian Pacific Pte Ltd.
Dr. Leong is the Chairman of CapitalCorp Partners Pte Ltd, a boutique corporate finance advisory company, which he founded in 2009. He was previously with the Far East Organization group from 1993 to 2008, serving as Managing Director of Orchard Parade Holdings Limited, Managing Director and Chief Executive Officer of Yeo Hiap Seng Ltd, and Executive Director of Far East Organization, where he was closely involved in the property development and management, including industrial properties. From 1977 to 1983, Dr Leong served in the Ministry of Finance and Ministry of Trade and Industry. He was a Member of Parliament for 22 years until 2006. He was also the Non-Resident Ambassador to Mexico from 2006 to 2013 and was appointed the Non-Resident High Commissioner to Cyprus in 2014. Dr. Leong holds a Production Engineering (First Class Honours) degree from Loughborough University; an Economics Honours degree from London University, a Bachelor of Arts degree in Chinese Language and Literature from Beijing Normal University; a Master of Business Administration from INSEAD; a Master of Business Research degree and a Doctor of Business Administration from the University of Western Australia. He was a Colombo Plan Scholar and a French Government Scholarship holder. 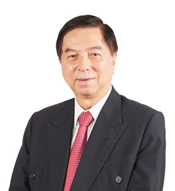 Mr. Ronald Lim has more than 36 years of experience in the banking and finance industry. Mr. Lim was previously the Advisor to RGE Pte Ltd, a resource-based and manufacturing group in the paper and pulp, palm oil and oil and gas industries from November 2009 to October 2011. 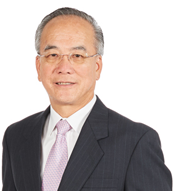 Mr. Lim was with United Overseas Bank Limited from March 1973 to November 2009 where he held leadership and senior management positions, serving as Executive Director and Division Head of Commercial Banking, Head of Branches Division and Head of Human Resources. Mr. Lim holds a Bachelor of Social Science from the University of Singapore (currently known as the National University of Singapore). 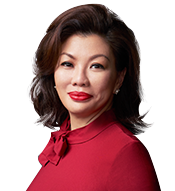 Ms. Yuen Thio has over 25 years of legal experience in mergers and acquisitions, equity capital markets, corporate transactions and regulatory advice. Ms. Yuen Thio is the Joint Managing Partner of TSMP Law Corporation and heads its corporate practice. She was admitted to the Singapore Bar in 1994. Her clients include logistics companies, REITs and REIT managers. She is regularly named by legal journals as a leading practitioner in her areas of specialisation. Prior to her appointment, she served on the board of ARA Trust Management (CACHE) Limited, manager of Cache Logistics Trust. Ms. Yuen Thio was appointed by the Monetary Authority of Singapore to the Corporate Governance Council 2017 to review the Code of Corporate Governance and is a Fellow of the Singapore Institute of Directors. From 2014 to 2017, she was a member of the Expert Panel, Centre for Cross-Border Commercial Law in Asia. She was also a member of the Singapore Governance and Transparency Index ("SGTI") Advisory Panel from June 2016 to May 2018. Ms. Yuen Thio holds a Bachelor of Law from The National University of Singapore. She is also an Advocate and Solicitor of The Supreme Court of Singapore. Mr. Pearce has extensive real estate experience in the Asia Pacific Region. He most recently held the position of Managing Director, Greater China for the Goodman Group, where he was responsible for US$5 billion of assets across Hong Kong and China and the establishment of the Goodman Group's business in China. While at Goodman he worked in Singapore, Hong Kong and China. Mr Pearce was seconded to the manager of Ascendas Real Estate Investment Trust from October 2002 to July 2006 where he held the position of Portfolio Manager. Prior to joining Goodman he was at AMP Henderson Global Investors in Sydney where he worked in various roles within the AMP Henderson Property Group including valuation, asset management and fund management. Mr. Pearce was a Director sitting on the board of the Goodman Group from 1 January 2013 till July 2016. 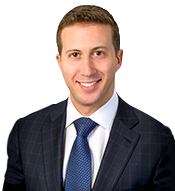 Jeffrey Perlman is based in Singapore, joined Warburg Pincus in 2006 and leads the firm's investments in Southeast Asia. Additionally, Mr. Perlman focuses on real estate investments across the greater Asia-Pacific region. Prior to joining Warburg Pincus, he worked in the Real Estate Investment Banking Group at Credit Suisse. He currently serves on the Board of Directors for ESR Cayman Limited, GO-JEK, Mofang Apartments, Nova Property Investment, PT. Nirvana Wastu Pratama, Vincom Retail Joint Stock Company and ESR Funds Management (S) Limited. Mr. Tong has more than 20 years of experience in property investment, property development and property management in the People's Republic of China. He is the founder and Chairman of Shanghai Summit (Group) Co., Ltd. and its subsidiaries (the "Summit Group") and the Chairman of Shanghai Changfeng Real Estate Development Co., Ltd. Having established Summit Group in 1994, Mr Tong has been responsible for overseeing the growth of Summit Group, which holds and operates commercial properties such as hotels, serviced apartments, office buildings and a shopping mall in Shanghai, Shenyang and Chengdu. Mr. Ang has extensive experience in real estate investment trust management, industrial property investment and consultancy services. He was previously the co-founder of Viva Industrial Trust Management Pte. Ltd. ("VITM"), the manager of Viva Industrial Trust ("VIT") from 2012 to 2018. In his capacity as CEO and Executive Director of VITM, he also held directorships with Viva iTrust MTN Pte. Ltd., Viva Investment Management Pte. Ltd. and Maxi Capital Pte. Ltd. 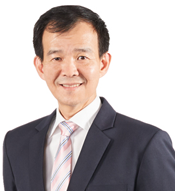 Prior to his roles with VIT, Mr. Ang was with Cambridge Industrial Trust Management Limited ("CITM"), the manager of Cambridge Industrial Trust ("CIT") from 2005 to 2009, serving as the Managing Director (Investment) and later CEO. 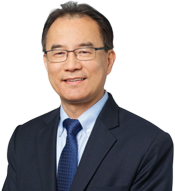 Prior to co-founding CITM, Mr. Ang was the Executive Director and Head of the Industrial Division at Colliers International (Singapore) Pte. Ltd.
Mr. Ang holds a Bachelor of Science (Estate Management) (Honours) from the National University of Singapore. Prior to joining the Manager, Mr. Chui ran the South East Asia real estate advisory division of Standard Chartered Bank ("SCB"). His overall responsibilities at SCB included structuring, fundamental analysis and approval of acquisition financing for real estate companies / REITs / Business Trusts, valuation and execution advice for mergers& acquisitions, as well as structuring, execution and investment case positioning & strategies of REIT Initial Public Offerings ("IPOs")and follow-on offerings of equity, equity- linked and debt securities across all real estate segments. Before SCB, Mr Chui was the Director of Real Estate, Lodging and Leisure Group at UBS Investment Bank's Singapore office, where he headed a team involved in structuring and listing of Singapore and cross-border REITs / Business Trusts and property company IPOs for Southeast Asia. His past work experience also includes a stint at Morgan Stanley Asia (Singapore) Securities Pte Ltd, where he was the lead property research analyst responsible for Singapore listed REITs and property companies. He has also held management roles with Capita Commercial Trust Management Limited and was part of the pioneer management team at Ascendas Funds Management (S) Limited.